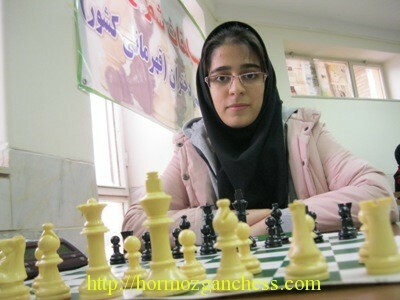 ‘The 2013 (1391 according to Iranian calender) Iran Youth Chess Championships took place in four cities – Rasht (U8 boys, U10 boys and U12 boys), Sari (U8 girls, U10 girls and U12 girls), Mashhad (U14 boys, U16 boys and U18 boys) and Zanjan (U14 girls, U16 girls and U16 girls), on 22-28th January. The presence of 869 players from across the country, including two Fide Masters, two Woman Fide Masters, and 193 rated players, added the flavor to the tournaments. 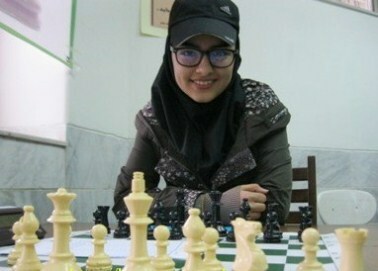 Ranna Hakimifard (from Tehran Province) successfully concluded the competition in Girls U18 to materialize the good play and positive attitude into a gold medal. She earned 6.5 points from 7 rounds. Nadia Bagheri Taleghani with 5,5 points landed on the 2nd place and Sanaz Esmaeili finished third.